Beware if your Windows PC suddenly goes slower than usual and it takes some time to boot, and when you are browsing there is an unwanted pop-up and other strange issues. It could be a possible virus or other notorious software that is holding your operations. Most of the time we attribute it to a hardware issue, but it will be good if you can check for yourself if there is any unwanted software playing with your Windows OS the virus removal software can take care of as below. Before you venture into finding what is wrong with your Windows OS, ensure you restart it in Safe Mode. This way the only minimal required program will be running. So any malware target for Windows computer the malware will find it hard to load in Safe Mode. So removing a virus or malware becomes easy since it is not active or running. Unfortunately, booting into Windows 10 has rather become a complicated process compared to Windows 7 and 8 where you just have to push the button F11. In Windows 10 click on Power Button and while rebooting hold the Shift key and click Reboot. On the following screen, select Troubleshooting-Advanced Options-Startup Setting. The other option is to restart and wait for the main Windows screen, select No.4 or Safe Mode with Networking. For virus protection be in Safe Mode you can run a virus scan, but before you do that delete the temporary files, this will speed up the scanning, and you get a little extra hard disk space. There is another feature which called Disk Cleanup utility in Windows 10, this also has a similar process to clean up your PC. Malware scanner helps to get rid of the most standard infection, if you have an anti-virus software running in your computer its better you try a different scanner to malware check, since the current malware protection won’t be able to detect the virus. Keep this in mind that not all antivirus software can make a perfect scanning and protect you from malware. You are more likely to be familiar with real-time anti-virus which runs in the background, but there is another one which searches for the virus when you open a program. It is advised that you keep one antivirus on your system, and if possible keep an on-demand scanner which does the work when you open a program. This way, if one program misses hitting the virus other can pick it. Malware on-demand scanner, fist you need to download it from the Internet. It may look like some virus and you may suspect it, but nevertheless, install it. Disconnect your internet and start the actual scanning. Go to the setup file and install the program, activate the trial version. After 14 days it will revert to the standard free version with a few missing features. After you have completed the scan the Malwarebytes will show the results and if you are still not confident you can run a custom scan. If your problem persists, try to run a threat scan, the malware will remove unwanted files, then switch on to your regular real-time antivirus and scan the system to confirm the outcome. The Windows system files are the one that takes a lot of beating during Malware infection. In that case, it is advised that you modify the setting of your browser, baring advertising, and blocking certain content that can be annoying. Ensure that your computer has an antivirus software which is updated regularly. 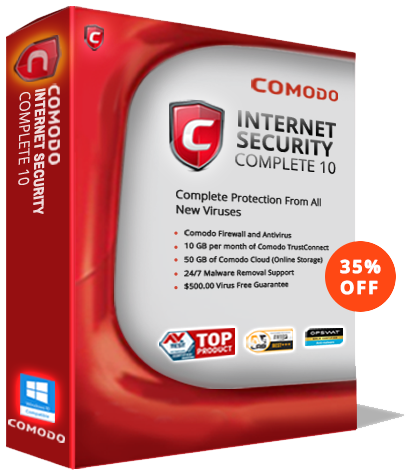 If you do not want to spend few bucks then make sure you get the free version of the best virus removal software like Comodo, Avast, or Bitdefender, these are some of the most robust virus removal software in the market.Periodic cleaning of the system will keep your computer clean from every notorious and malicious software.